It’s working properly, but the menu looks disjointed due to the black background on UberMenu’s menu bar and the white background on the Neighborhood bar. If you want a menu bar that isn’t white, the best option is to style the background of the theme’s menu bar and set the UberMenu menu bar to transparent. Generally, you’ll want to change the background to the same or a similar color as that set on the #megaMenu element for that skin. 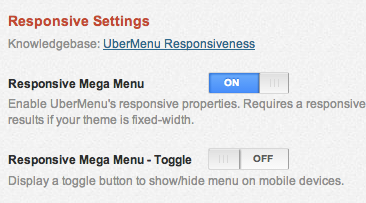 At mobile sizes, with Neighborhood + UberMenu, you’ll end up with a double-reveal menu effect. 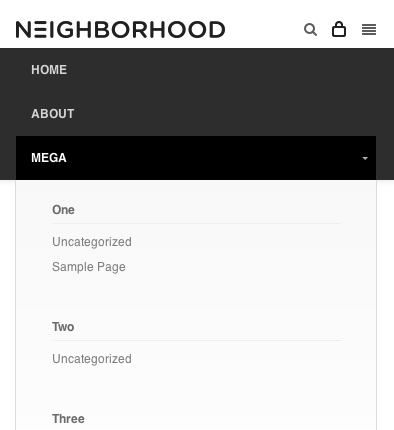 So you have two choices: remove the Neighborhood menu button and only use UberMenu, or allow the Neighborhood menu button to reveal UberMenu entirely.